If you're a lover of fine food or fine Indigenous art, you're in for a treat at this year’s Cairns Indigenous Art Fair. For the very first time, TropicNow's foodie festival Meet Eat Repeat has joined forces with CIAF to bring a feast of flavours to the art fair at the Cairns Cruise Liner Terminal from July 12-15. CIAF’s general manager Vanessa Gillen said she is excited to promote the food aspect of the fair to promise a more well-rounded experience for visitors and particularly families, who arrive in the morning with the intention of spending the whole day participating in activities, browsing art work and watching entertainment on the garden stage. TropicNow's Gavin King said his team was incredibly proud to partner with CIAF to bring Meet Eat Repeat to this year's festival for the first time. 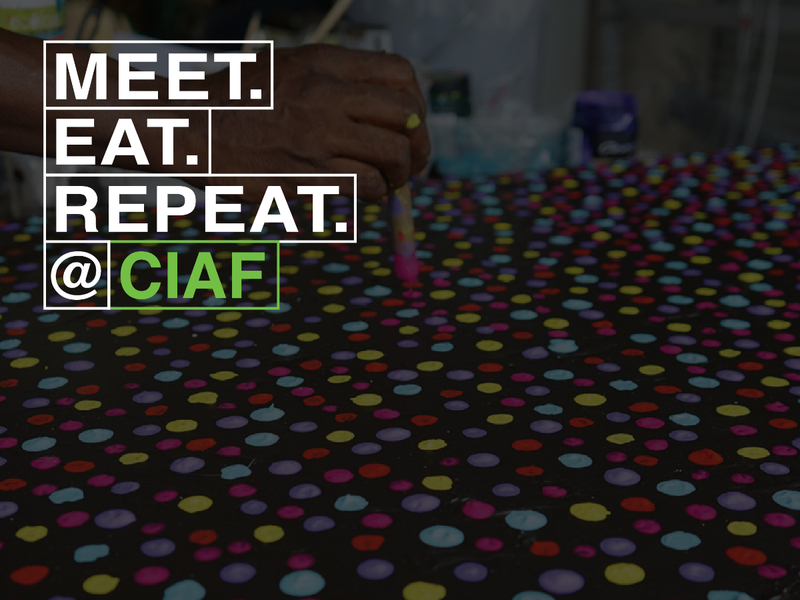 "The addition of Meet Eat Repeat to the CIAF line-up means visitors to the cruise liner terminal during the event will not only get to see world-class Indigenous art, they'll also get to sample the Tropical North's best food vendors, including some of the region's best restaurants and cafes. “It doesn't get much better on a tropical weekend than wandering through the CIAF art fair and market - tasting some amazing food in between – all within the beautiful surrounds of Cairns Cruise Liner Terminal. "We're really excited about opening night with a curated selection of incredible food offerings from the likes of NOA, Mama Coco, Dumpling Studio, Paella Time and Providore Amore among others. "If you haven't been to a Meet Eat Repeat event before, come along and experience the best of local food and the best of local Indigenous art at the same time."